What would you give to have a more efficient, healthier, and less painful birth? Most women would agree that they would give anything for this! Our Colorado Springs chiropractors specialize in prenatal care which has been shown to help reduce labor pains and times by up to 40%. What does chiropractic care look like during pregnancy? 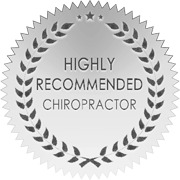 Our Colorado Springs Chiropractors specialize in a technique called the Webster Technique. This technique helps analyze and balance the pelvis to decrease stress on the uterus and surrounding ligaments in order for baby to have a proper growing and birthing environment. Visits utilizing this technique include very gentle, specific adjustments to gently realign the pelvis into it's proper position along with applying gentle pressure over ligaments that may become stressed due to the body adapting to a growing and developing baby. This will help decrease strain and discomfort for mother throughout pregnancy and help lead to a healthier, less painful, and more efficient birth.